Marquee Events International are delighted to present Lefteris Pantazis at Shaka Zulu in Camden. 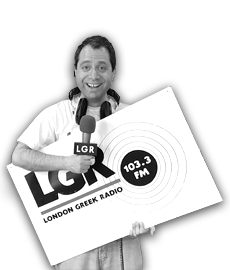 On Thursday 24th November, Lefteris Pantazis will be performing all his biggest hits in a spectacular live event. Doors open at 7.30pm and the night will continue until 2am. The night will also include live performances from Mario Constantinou, Dora Georgouli and Anneta… followed by a full show by Lefteris Pantazis! The night will then continue till 2am with music from one of our DJs and will also include a performance by Oriental Dancer, Alexandra. Printed tickets available from: Aroma Patisserie, Wilton Patisserie, Greek City and Flames Restaurant. Ticket pricing is as follows: £30 Standard Ticket – £40 With Booth – £75 Ticket includes VIP booth & 3 course Shaka Zulu dinner. To book a VIP Booth, including a 3 Course Shaka Zulu Dinner call us on 0739 132 3836. Standard tickets are £30pp and can also be purchased online via the link below. To buy tickets for this event please visit our events page: ME International Presents… Lefteris Pantazis Live tickets from Skiddle.